This article will make your Twitter analytics amazing, read or miss out! Don't fear, if you can't stand the pace of social media, it's easy if you do it the right way. Various social media tools add value to a marketing strategy, in addition to this, Twitter is the most powerful tool to dig deep into the target market. Before we make a plan to optimize the media strategy, let's take a look at some eye-popping facts about the reigning social media monitoring tool- Twitter. Unique 36 million monthly visitors. 288 million monthly and 100 million daily active users. 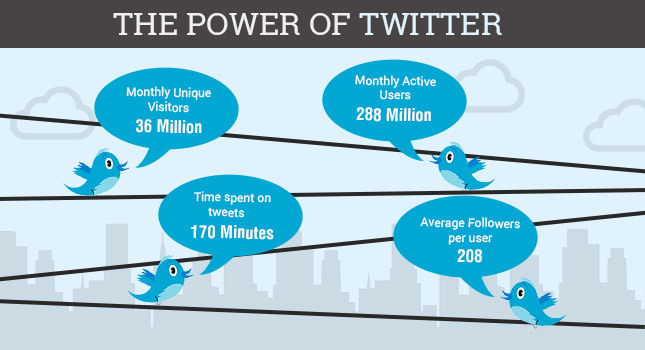 Average 170 minutes per month spent on tweets. Average 208 followers per user. The recent roll out of Twitter's native analytics platform made it simpler than ever before. Now you can get some quality data right away from your tweets. Which of your tweets people are sharing? Which links are performing well on your posts? Does your advertising actually make sense? How many users are redirecting to your website? With such social media metrics, you can easily visualize your growth. But keep in mind, using Twitter as a marketing strategy and mastering Twitter analytics to increase the leads are two different things. In order to boost the powerless strategy, you need to focus on the later one. 1. Define your target: You should focus on the interest of your followers because studies show that 80% of people follow brands to access exclusive content. Explore the top 5-10 interests of your followers and use them to make your social goals that will eventually flourish the business goals. Brand awareness can be measured by the number of new followers and retweets. 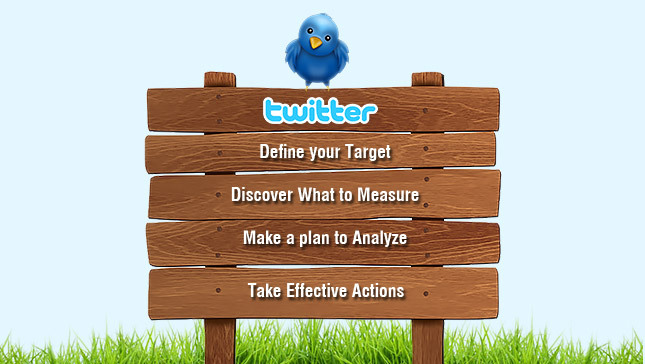 Growth of your target audience can be measured with tweet reach and impressions. Number of clicks to your website can give you an insight of sales and conversions. 3. It's a matter of time: A definite time frame would be great to observe the activities. Don't waste your time to analyze the metrics every day, make a weekly plan to track short-term progress while a 3 month plan will be helpful to measure your long-term success. 4. Take effective Actions: Analytics can add a lot to your online strategy, but if such metrics fails, all you need is to improve your plan of actions. Identify your weakness and then dive into the analytics; surely the number of followers will rise. At present, advertising and hashtags are interrelated, and surprisingly, more than 20% of commercials contained a hashtag during this year's Super Bowl. Find out which tags work best for you and keep an eye on Tweet reach, these are the most helpful data that certainly maximize the user engagement. If you haven't mastered the skill of optimizing the big data, then be a smart marketer and get professional aid to generate more leads via Twitter analytics. Twitter analytics is the most powerful tool to identify the weakness in a media strategy. Identify your objectives and take actions to improve your marketing efforts. Cognus Technology provides top notch social media monitoring services, with an extensive specialization in Twitter Analytics.